• Flange insulation kits CPI-TGCD are typically used on offshore installations, seawater environments, chemical installations, oil refinery pipelines. • Flange insulation kits CPI-TGCD follow standards ANSI 16.5 & API 605, other standards need to provide more specifications according to our requirements. • Flange Insulation Kits CPI-TGCD consist of an insulating gasket; some insulating sleeves and washers’ which are all correctly sized for the application and conveniently packaged to minimize the possibility of lost component parts during installation. 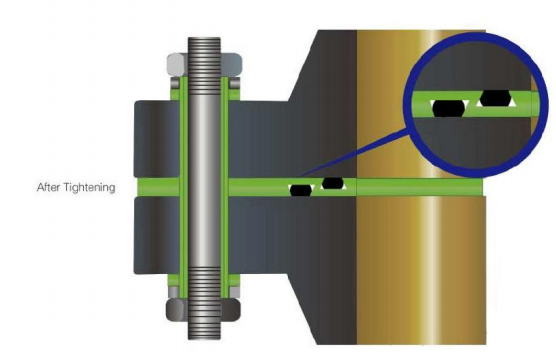 • They can be used with misaligned flanges. • It can be used in RTJ o BX flanges. • Do not retighten required. • Suitable for high pressures..
• Limited exhibition area (Long fire life). • Compensates pressure variations, changes compression, vibration, temperature variations, etc. • It greatly reduces error during installation. • Wide selectricon of materials available. • Low installation costs and maintenance. 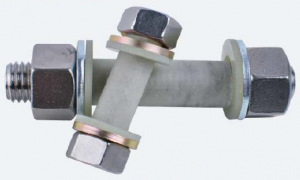 Flange insulation kits CPI-TGCD are the most widely used form of controllinglosses due to corrosion. They can be used to control stray electric currents in the piping at oil, gas, water, refinery, and chemcial plants, to increase the effectiveness of cathodic protection systems and confine or eliminate electrolytic corrosion. Each insulation gasket kits is packaged individually in durable corrugated box. • Type E gaskets is a full-faced gasket with the same outside diameter as the flange and precision cut bolt holes. This design facilitates proper alignment of the gasket during installation. Type E gaskets are available in plain face or Neoprene face phenolic, as well as a variety of high temperature materials. 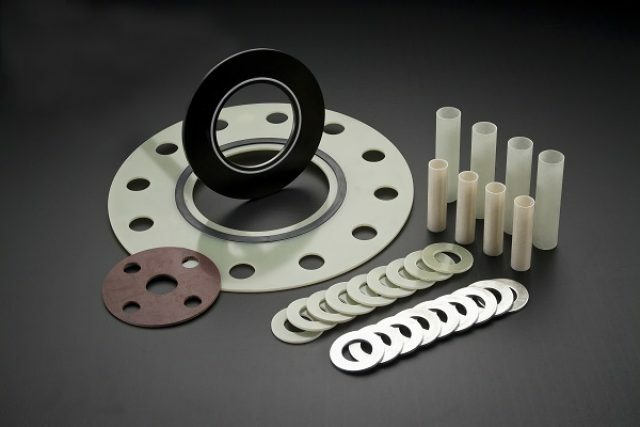 • Type F gaskets are made to fit the raised face portion of the flange only. As there are no bolt holes in the F gasket, the outside diameter of the gasket fall within the inside diameter of the bolt hole circle. Available in the same materials as the Type E gasket. • Type D gaskets are specifically designed to fit into the ring groove of ring-type-joint flanges. They are manufactured of a medium weave, fabric-reinforced phenolic material and are sized to ANSI and API specifications. 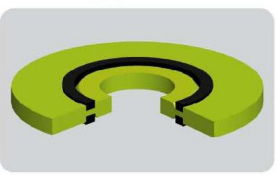 Type D gaskets are available in basic oval as well as octagonal shape. Also available are BX gaskets with pressure ratings to 15,000 PSI. TGCDLB System is a Low Pressure service isolation Gasket kits designed for electrical flange isolation and general sealing applications. This gasket is suitable for use in raised-faceand flat-face flanges in ANSI class 150 and 600 service (or equivalent). In addition to providing electrical isolation, the gasket is excellent for isolating flanges made of dissimilar metals or where prevention of flange face corrosion is desired. The design of TGCDLB incorporated overlapping and offsetting seal grooves. The purpose of this design is to break each layer of laminate within the seal itself there by creating a barrier through which fluid and/or gas cannot migrate. 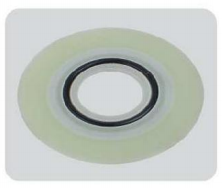 The sealing element can be any elastomeric material as well as more sophisticated Spring-Energized Teflon seals. As a result of this advanced seal design, maintenance free flange isolation and flange face corrosion mitigation are achieved economically. The TGCDLB is available in both full-face (Type E) and ring style (Type F) configurations. Depending upon the sealing element selected, the TGCDLB is rated for most all hydrocarbon and water service applications. TGCDPGE System have the excellent sealing and insulating design for all types flanges. 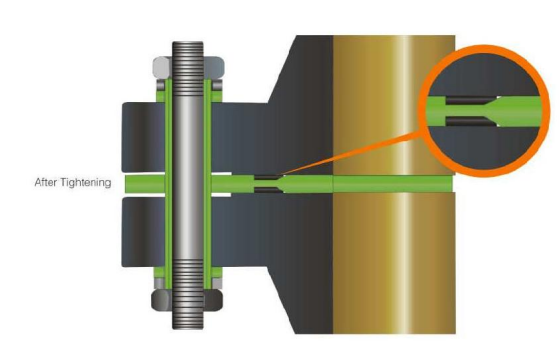 The sealing elements encapsulated in the special designed groove, avoid the sealing element broken when the bolts torque are not equal. The material such Nitrile, EPDM, VITON and PTFE can be used as sealing elements, this increase the options for different working conditions. Both retainer and sealing elements temperature limit should be considered together while choose the material. 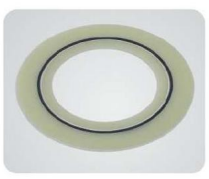 Refer to chart sealing gasket temperature range and material compatibilities. TGCDVCS System, are sealing in special designed for flange sealing and insulating in all critical services. It is suitable for raise-face, flat-face and RTJ flanges in all pressure classes even API 15.000 psi service. The TGCDVCS Sealing gasket has been use in all over the world because of the superior sealing characteristics and excellent dielectric properties. The Gasket material incorporates high-strength, glass-reinforced epoxy laminated bonded to a stainless steel core. This provides the strength of a traditional metallic gasket while maintaining complete electrical insulation between the flange faces. Seal grooves are machined through the laminate insulating material and into the stainless steel core which provides a strong base for the seal to seat into and breaks the potential leak path that is inherent in glass laminate materials. 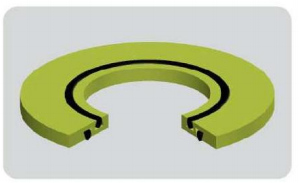 Spring-energized PTFE internal face seals are installed in the dovetail shape seal grooves to provide the reliable sealing. Neoprene faced phenolic gaskets, have long been used as a standard insulating gasket in the gas and oil industries because the soft neoprene rubber provides good sealing qualities. In these gaskets, neoprene sheets are factory bonded to both sides of a laminate phenolic sheet to give a good sealing quanties and high electrical resistance. The temperature imitation of these gaskets is approximately +90ºC (194ºF). 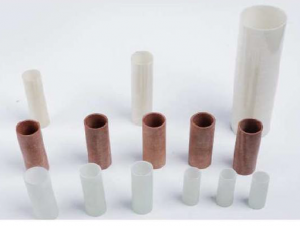 Solid plain gaskets are used in special applications, materials such as plain phenolic, PTFE, reinforced PTFE are available for your options.